This year marks the 30th anniversary of the very first Timothy Dalton outing as super spy James Bond, The Living Daylights. So to celebrate the 1987 hit film reaching three decades as part of the 007 saga, organisers have created the Bond in Motion exhibition at the London Film Museum. 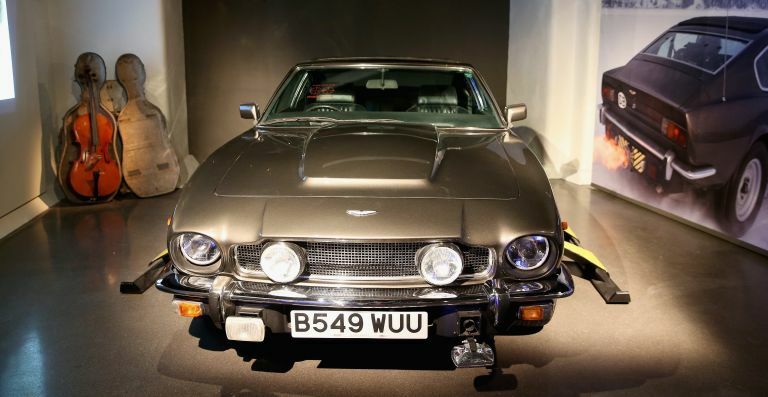 The event brings together the largest collection of James Bond vehicles in the world, including the Aston Martin V8 Vantage that sped and blasted its way around the snowy roads of Austria in the 15th 007 film. The show also features over 100 original artifacts spanning all 24 Bond films including vehicles, miniatures, concept art and storyboards. It even has the famous cello case Bond used to escape now a snowy mountain. The London Film Museum is located at 45 Wellington Street, Covent Garden and is open seven days a week. Tickets are available from www.londonfilmmuseum.com and www.ticketmaster.co.uk. If you're looking to head out to a festival this summer (don't worry, there are plenty left on the calendar), the OC3 Portable Cleaner might just be the smartest you'll take with you. It packs the punch for a quick wash anywhere, anytime, and with its low pressure setup it's perfect for a body shower – especially in this heat to avoid waiting in lines at a festival. It's battery powered with its own water tank and is light and perfect for on-the-go usage. The OC3 Portable Cleaner has been specially designed with a nozzle perfect for cleaning everything from wellies to tents. It also stores up to four liters of water, easily refilled when out and about. The Kärcher OC3 Portable Cleaner is available now with a price tag of £129.99. You can order one direct from Halfords today. We've already seen the Flic Buttons at work - a set of easily programmable physical switches that can be used to complete almost any task that was previously reserved for the app, from turning on smarthome lights such as Philips Hue, to ordering deliveries to controlling music - and now we've got the next addition to the family, the Flic Hub. By removing the need for a phone to connect to smart apps, the The new Flic Hub can support up to 64 Flic Buttons at one time, performing such tasks as turning smart light switches on or off, setting a mood colour, connecting to a SONOS speaker, Samsung Multiroom, Bose Sountouch or Spotify to control music from anywhere. You can even program Flic Buttons and connect them to your Flic Hub to act as a doorbell, open and close blinds or control heating. Why, you could even use them to order pizza, Uber or services like cleaning or in-home pampering. Order a pizza with a single button? Where do we sign? You can pre-order one today with a Super Early Bird discount of up to 50%, meaning prices start from $49. Head on over to the Flic Hub's already funded Indigogo page to gran yours.